Kenneth the Spider Puppet | tessa.yvonne.morrison. Posted on October 21, 2011 by tessa.morrison. I finished this little guy a while back. It is for the webseries “Seth Martin and Friends”. There has been some talk of getting a PBS series. He’s a felt and poly-foam, muppet-style hand puppet. This was my first polyfoam puppet I designed and made myself. Photo Courtesy of Craig P. Johnson. 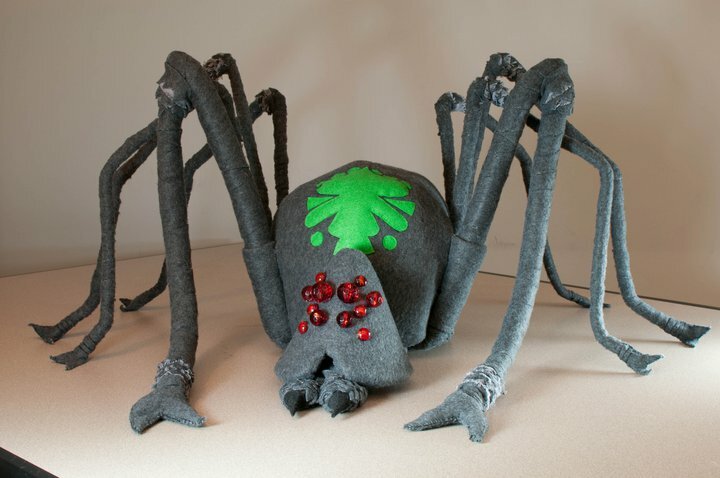 This entry was posted in Fabric Art / Puppets and tagged Along Came a Spider, hand puppet, Kenneth, Kenneth the Spider, muppet, puppet, Seth Martin and Friends, SMAF, spider, spider puppet, Tessa Morrison, Trace Cherokee by tessa.morrison.. Bookmark the permalink.